‘Phantom’ Dan — stay hard, stay hungry, stay alive! 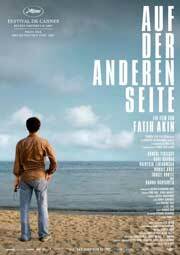 Fatih Akin’s second ‘big’ movie after “Head-On” (Gegen die Wand) is definitely one of the best this year. Not as outstanding as the first (of a supposed trilogy), but more subtle, pensive. And once again, Akin proves his talent for casting fresh, but great actors! At first view, he’s using known elements: Altman’s short-cut episode style, the German-Turkish theme, a love story… But then, one realizes it’s not really about Turkish immigrants, not really about Turkish politics (though it still is also about these things) — in the end there’s just a great movie about a universal generation conflict, love and forgiveness between kids and their parents. It’s the same story, from ancient times (Ibrahim/Abraham and Ishmael/Isaac to the 21st century, in Turkey and Germany — the same inner conflict, regardless of age or gender. 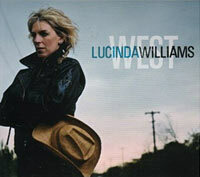 The greatest female singer/songwriter in country-blues-rock in a theater? A concert in chairs? I was very sceptic…But then, I had 4th row tickets, expected a more quiet show with a focus on that great voice, and was going to see her live again! So, how was the show? Simply amazing! With the first slow songs of her new album, you understood the intention of playing here: a very attentive audience, no yelling, shuffling around, no beer or bathroom breaks — just her voice filling the room. And how could one describe that voice? Well, she did rightaway when interrupting her first song to start again: “There are good cracks and bad cracks in my voice, that was a bad one!” But from there on she unveiled more and more of the ‘good cracks’. A goose bumps voice, rough and soft, broken and clear, and so powerful! It’s funny, you listen to the saddest songs ever (“You want dark, I give you dark!”) — with a big grin on your face, ’cause it’s so beatiful! As she was getting more and more into the show, Lucinda loosened up and enjoyed herself (she seemed not to in Hamburg before), talked about her songs and experiences. The band was amazing too: great guitars (Doug Pettibone shouldn’t sing, though), groovy bass and wondeful percussion and drums. Towards the end they really made some joyful noise! Two hours — yes a long show — happy faces all around, on stage and in front of it!